We have a vision for our communities of real safety that doesn’t include immigration raids, police shootings, mass incarceration, or anti-trans violence. The attacks on our communities are not siloed. Our responses can’t be either. Politically and practically, we need each other. 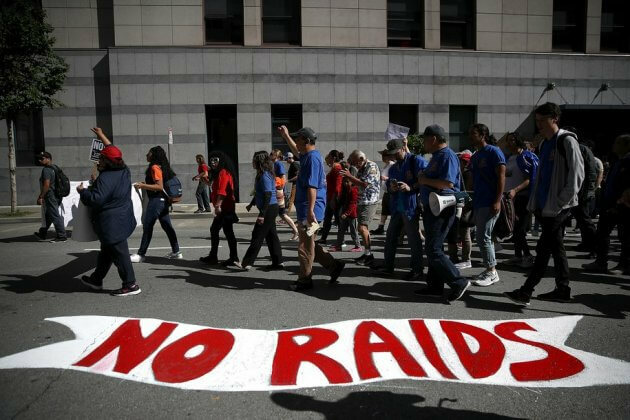 Demands raised by the Movement for Black Lives to address state violence, criminalization, and over-policing are also steps necessary to protect migrant rights in the current moment. Despite what the current President orders, local officials have authority and power to protect their cities and towns. 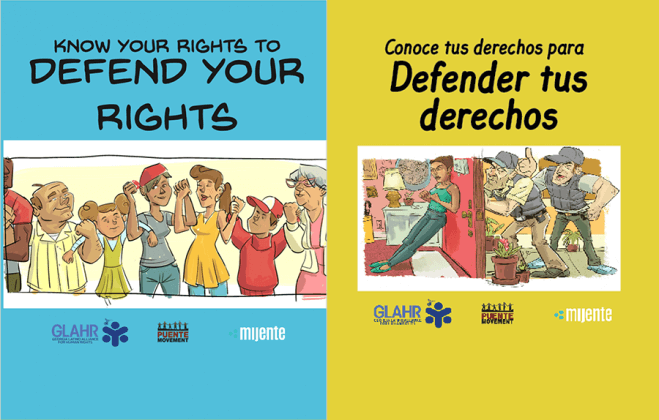 By refusing to be conscripted into federal deportation efforts and by addressing the criminalization and over-policing in many places that funnel migrant residents into removal proceedings and Black, Latino, poor, and other communities of color into the prison system, local officials can move their towns toward real safety, actual sanctuary, and be a line of defense against Trump’s attacks. 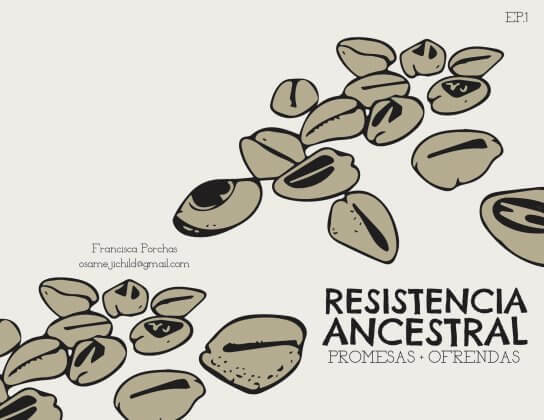 This Ancestral Spiritual Zine offers this collection of prayers, practices and intentions for the sake of the ancestors, for the sake of our families and the Earth who made us, and for the generations to come. 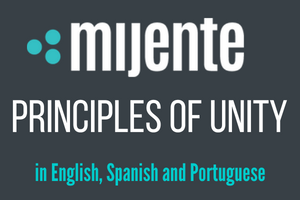 In an era where any contact with local law enforcement becomes an opportunity to detain, deport, and incarcerate, highlighting the role of local governments in creating real sanctuaries and pushing back against criminalization is key. 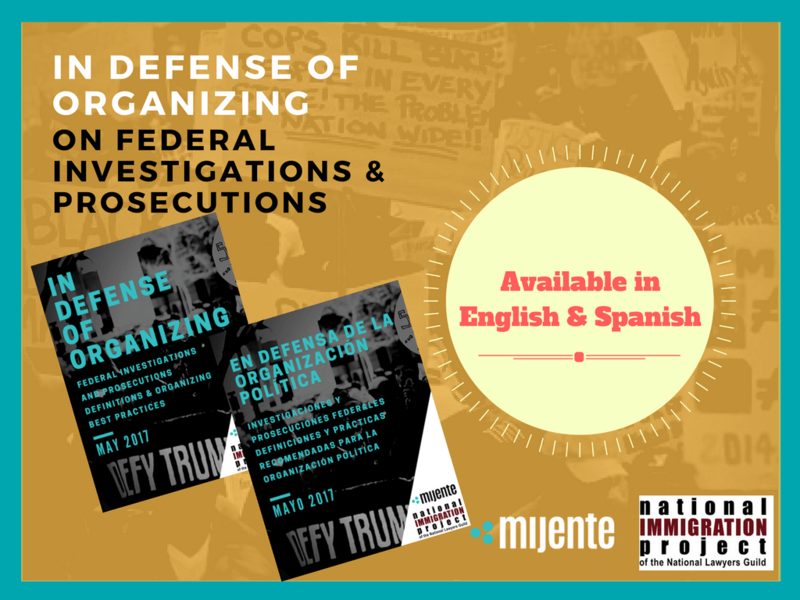 Mijente and the National Immigration Project of the National Lawyers Guild release a guide that outlines how community-based organizations can develop a security and defense plan in the event that federal law enforcement targets leaders or staff for federal investigation and prosecution. 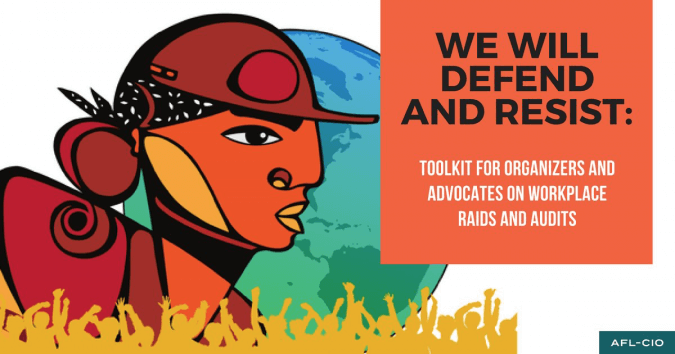 Mijente Members and labor leaders at the AFL-CIO, Neidi Dominguez and Rosa Lozano along with others just dropped “We Will Resist and Defend,” a powerful toolkit for organizers and advocates on workplace raids and audits. This is a living list of legislation that has been passed or proposed to address increasing protections and/or reducing criminalization. 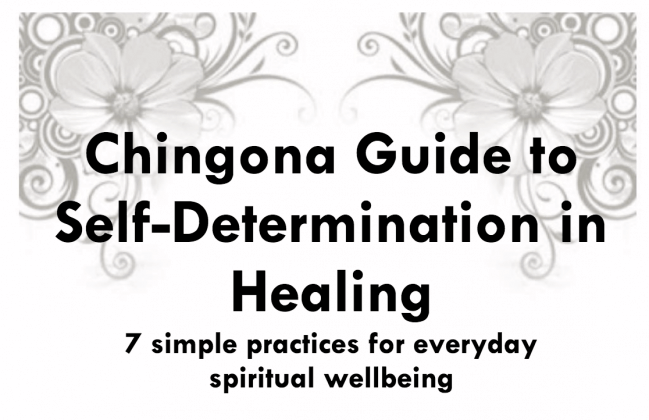 For the social justice warriors to take care of themselves: Step-by-step instructions for simple rituals and healing practices that anyone can do. 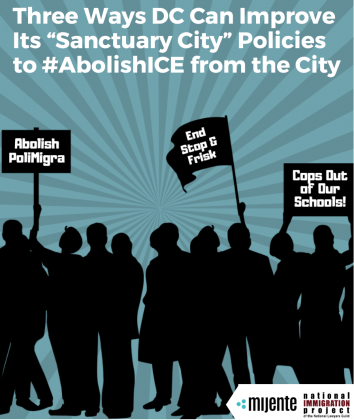 Below is a living document: A compilation of current bills and analysis pointing toward what’s needed but not yet drafted to serve as a starting place for crowdsourcing policy solutions to expand sanctuary at the city level. It’s meant to help answer the question, “We want to be a sanctuary. 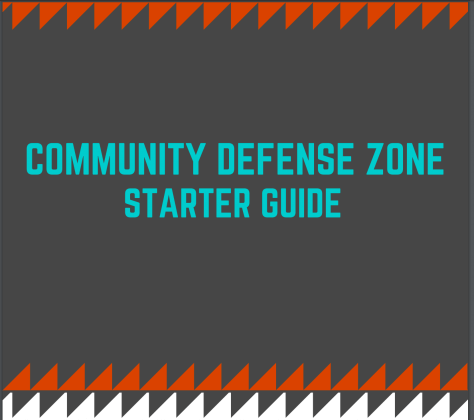 How do we do it?” and a repository for solutions and visions of what is and could be done to defy Trump, defend our cities, and expand sanctuary. 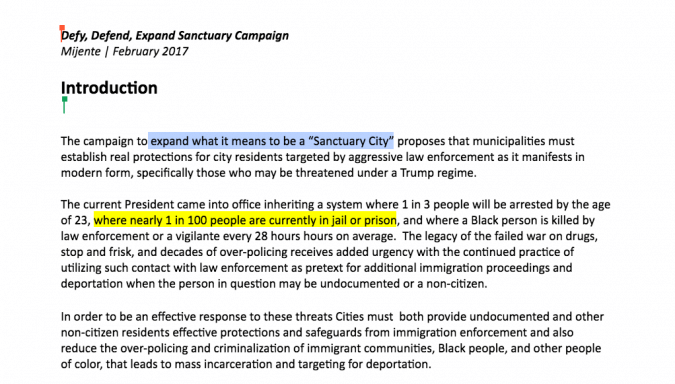 You may also want to consult the “What Makes a Sanctuary Now” Report. If you have trouble viewing the document below, click here to open it in googledocs.